MindShare Workspace, Canada’s first shopping mall-located coworking innovation space has opened its doors to prospective founding members at Erin Mills Town Centre in Mississauga. The MindShare Workspace is the brainchild of award-winning entrepreneur, Robert Martellacci, a proud Mississauga resident with over 20 years of expertise in the technology and learning space as founder of MindShare Learning Technology. He has advised a wide range of clients, from Fortune 500 companies to startups. Mr. Martellacci is one of Canada’s technology thought leaders who specializes in learning, technology and change leadership. He hosts a national tech & learning conference in partnership with MaRs Discovery District and York University, and has served as an advisor to a number of startup companies affiliated with MaRsDD. “The MindShare Workspace was inspired by our work in the education space and really redefines the future of work and learning, providing opportunities for Mississauga startups and small business leaders from all sectors to live, work, and learn in their own backyard,” says Robert Martellacci, Founder & CEO, MindShare Workspace. The Mindshare Workspace was inspired by the founder’s desire to fill a space void in Mississauga, to accelerate innovation and promote a healthy and vibrant 21st century city ecosystem. The MindShare Workspace is a state-of-the-art innovation space designed to inspire you to work hard, connect with a diverse group of professionals, and have fun! 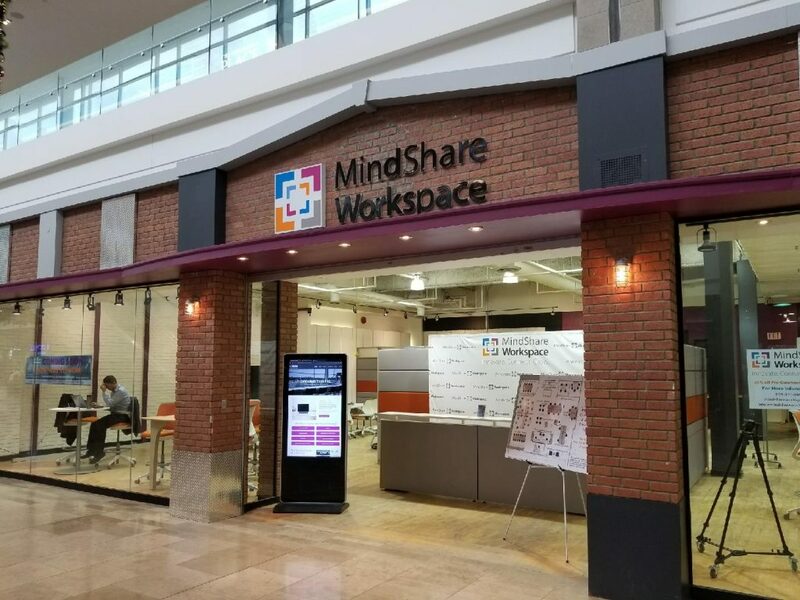 “We are happy to have MindShare Workspace join us at Erin Mills Town Centre, and are sure it will add great value to our customer offering and to the community. It is the first of its kind in a Shopping Centre and we are excited about the possibilities,” says Francesca Bourré, Marketing Director, Erin Mills Town Centre. MindShare Workspace is officially slated to open December 1st, 2017. Founding member pre-construction pricing is available at 20% off all standard pricing options. Pricing begins as low as $29/day. About the MindShare Workspace Inc. The MindShare Workspace is Canada’s first shopping mall-located coworking innovation space. It is designed for community members to inspire cross-sector collaboration-from individual consultants to startups to small business. Situated in an inspiring state-of-the-art open-concept space, innovate, connect and grow in your own backyard, in Canada’s 6th largest city. Mindshare has sought leadership and insight from industry and government thought leaders. Our esteemed advisory board is vital to meeting the needs of key stakeholders in the community of Mississauga and outlying areas; it includes the University of Toronto Mississauga president, as well as Sheridan College, the Ontario Centres of Excellence, the Regional Innovation Centre, and key GTA business leaders.